A award winning ensemble from Vancouver who introduces audiences to different cultures through their experience, discoveries, and travels. 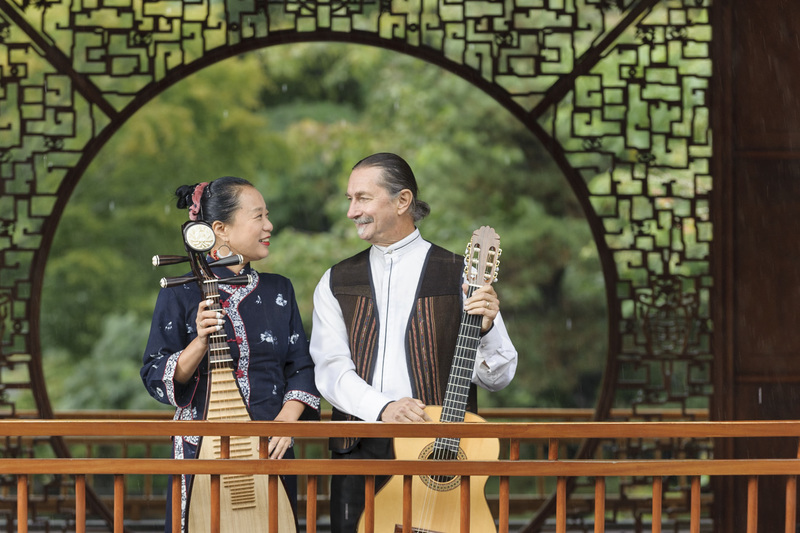 Qiu Xia He 何秋霞 originally from China plays Pipa 琵琶, accompanied by her husband André Thibault who was born in Montreal and plays Spanish Guitar, Middle Eastern Lute, winds and percussion. Together, they have shared thousands of performances around the world, creating an exciting breed of multicultural music. A true acoustic musical wonder!